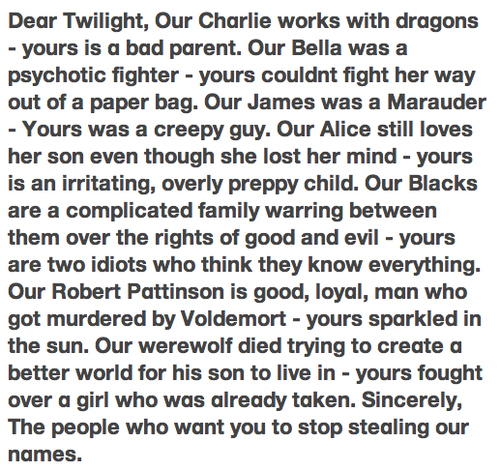 Harry Potter vs Twilight. (Read 1st) SO TRUE!. Wallpaper and background images in the Harry Potter vs Twilight club tagged: twilight twilight series harry potter book twilight vs. harry potter why harry potter is better. I just read this about 12.seconds ago. Hmmm, this kind of thing makes Harry Potter fans come across as stupid and immature...It almost makes me think it was created by some anti HP person.